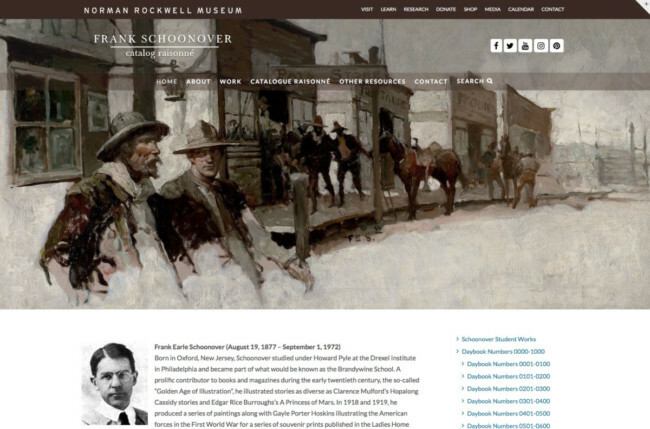 Norman Rockwell Museum houses the most significant public collection of Norman Rockwell’s work in the world. The Museum’s holdings include original artwork, and the artist’s studio and its related collection, including personal memorabilia, supplies, and reference materials. 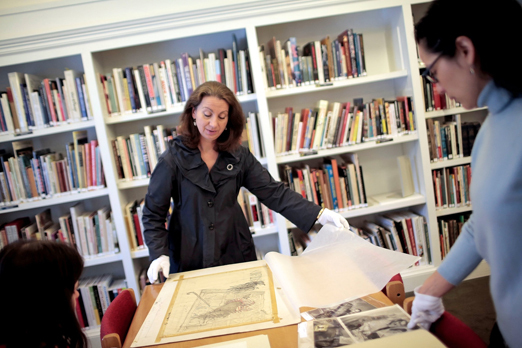 The Norman Rockwell Art Collection Trust forms the heart of the Museum’s collections. In 1973, Rockwell bequeathed his personal collection in trust to the Museum so that the works could be exhibited, preserved, and used for the “advancement of art appreciation and art education.” This 367-work collection includes such large-scale oil paintings as Stockbridge Main Street at Christmas, Triple Self-Portrait, The Four Freedoms, Girl at Mirror, and The Marriage License, and preliminary sketches and studies in pencil, charcoal, watercolor, and oil. 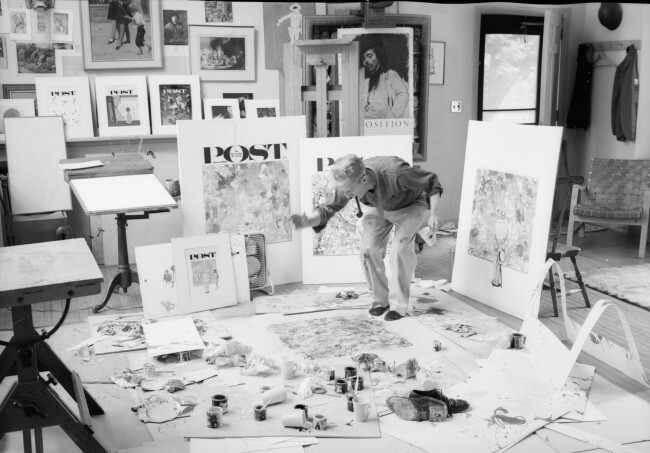 In 1976, Rockwell added his studio and its contents to the Trust collection. 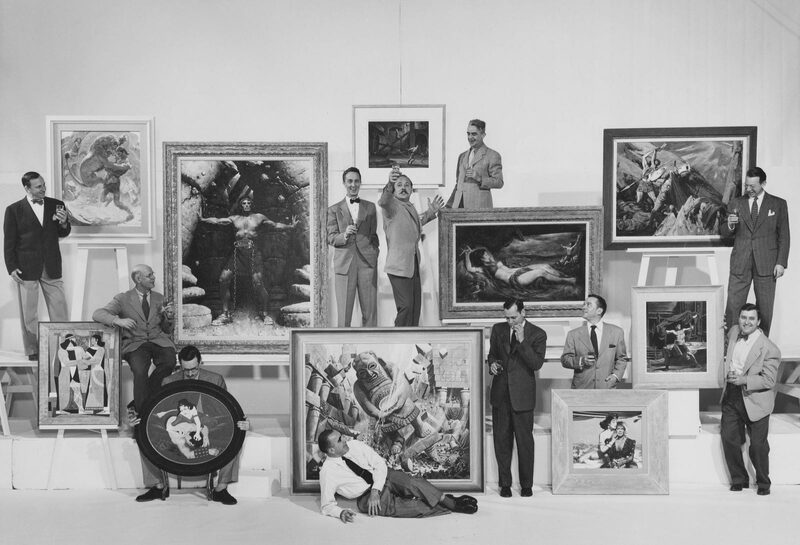 From this later bequest, the Studio Collection and the Norman Rockwell Archives were formed. 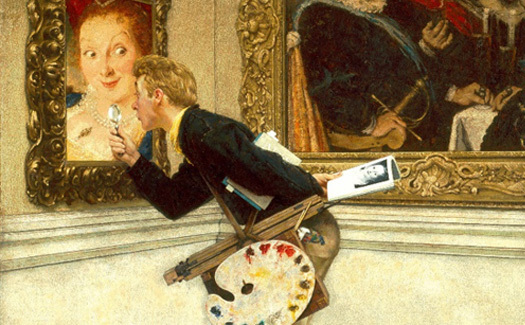 Norman Rockwell Museum’s growing permanent collection of original illustration is both historical and contemporary, featuring more than 14,000 works by more than 250 artists. 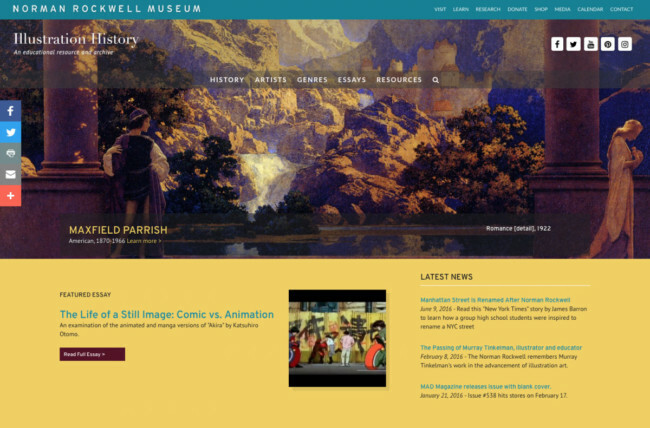 Significant collections, featured here, highlight the art of Norman Rockwell’s teachers and artistic inspirations, twentieth century magazine and periodical illustration, and work by contemporary creators. Many important works have come to us through the generosity of caring donors who have designated the Museum as a home for their treasured collections. 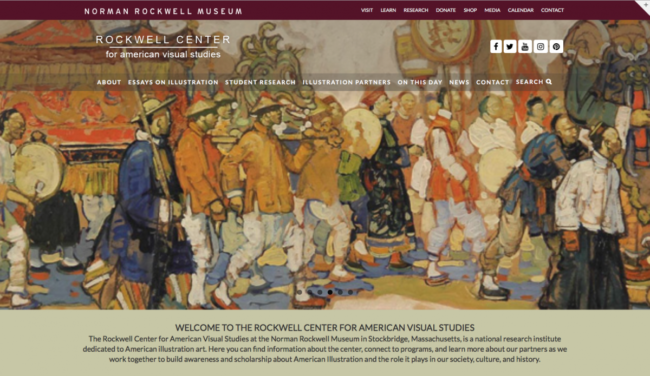 We are grateful to our many donors for their ongoing support of the Museum’s collecting mission, which places Norman Rockwell within the context of his vibrant and ever-changing profession, the field of illustration.